Sen. Chiz Escudero wants the government to reveal to the public details of all the bilateral agreements signed between the Philippines and the People’s Republic of China, particularly the deal on the joint exploration on the oil and gas reserves in the West Philippine Sea (WPS). On the first day of Chinese President Xi Jin Ping’s two-day visit to the Philippines, the administration signed 29 bilateral deals with the Beijing government, including the joint oil and gas exploration. Escudero recalled that during the Arroyo administration, the Philippines, China and Vietnam entered into an agreement to jointly conduct oil offshore exploration covering both disputed and undisputed waters, also known as the Joint Marine Seismic Undertaking (JMSU). However, he said, the agreement was between the countries’ respective oil companies. 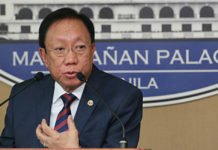 He also warned of the possible implications of the memorandum of understanding (MOU) on the joint oil and gas development between Beijing and Manila because of the Philippines’ claims in the West Philippine Sea. During President Gloria Macapagal-Arroyo administration, a separate private company in China was created and agreed on the joint exploration. He said it was not the governments of the Philippines and China which entered into agreements because it might conflict with the arbitral ruling of the court eventually have on the claims and interests of both countries. Results of a survey conducted by the Social Weather Stations showed that 84 percent of Filipinos reject the government’s “do nothing policy” on the West Philippine Sea. 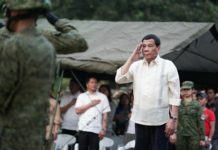 While the government cannot enforce the ruling of the international court that grants the Philippines ownership over territories in the disputed sea, the least the government can do is to assert its claim in the policy speeches and declarations because this is what the Filipino people are expecting, he said. 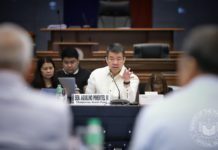 Meanwhile, Senate President Pro Tempore Ralph Recto said if the Senate starts floor debates on the 2019 national budget next month, then the particulars of any or all of the 29 Philippine-China deals signed during Chinese President Xi Jinping’s state visit may be asked of the Cabinet member who signed the deal, or whose agency is responsible for implementing the agreement. He said the move will serve notice to department secretaries that the issue of the 29 agreements may crop up in the course of the plenary examination of their budget. “More so if the agreement binds us to a project which will be financed by loans, enlarges the national debt, or requires large budgetary counterpart requiring yearly appropriations. The price tag of these commitments, he said, must be explained, as well as the benefits to the public. If these are grants and interest-free loans, then the Senate should be advised as well. He related that a senator during the budget debate can focus a powerful spotlight on these agreements. Akbayan Sen. Risa Hontiveros called out Duterte for failing to assert the country’s sovereignty and the Constitution after he signed a framework agreement with China on joint maritime oil and gas exploration. 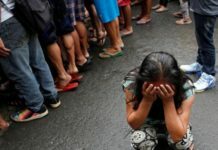 If the leaked copy of the agreement is proven authentic, she noted that the President signed a document that did not assert the country’s Constitution and sovereignty in the West Philippine Sea against China’s discredited nine-dash line, which lays claim to every shoal, reef and islet in the region. Hontiveros decried the absence of the 60-40 equity rule in the agreement as required by the 1987 Constitution. She also hit the agreement’s confidentiality clause which states that any document, information or data concerning the joint exploration shall be kept confidential. The Senator also pointed to the dispute settlement provision of the agreement which she said favors so-called friendly consultations instead of arbitration and other multilateral approaches. Hontiveros called on the Executive branch to divulge the full details of the agreement together with 28 other agreements signed by the government with China during Jinping’s visit. “The Senate must lead this initiative given that it has material interest in ensuring that the foreign policy adopted by the Executive is in the best interest of Filipino citizens,” Hontiveros added. 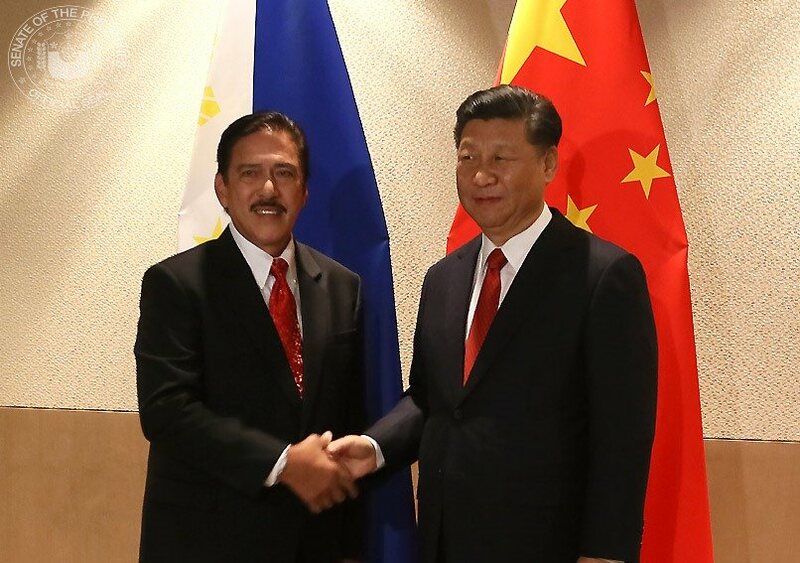 Meanwhile, in his opening statement during the joint call on both Houses of Congress by Chinese President Xi Jinping, Senate President Vicente Sotto III stated the importance of the good diplomatic relations between the Philippines and China. Moreover, he emphasized that there is certainly much more that binds the Philippines and China together than what may divide the two. In his response, Xi stressed that the South China Sea is a sea of friendship and cooperation that creates a bond of friendship for the two nations. 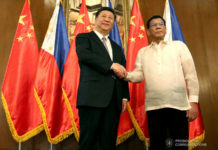 Xi laid down to the members of Congress his future plans for Filipinos, which include increasing job opportunities for Filipino teachers and nurses; multiplying mutual visits from one to two Million and opening up free trade to the Philippines, among others.